Samson, Van Zanten, McAusland, Goodwin, Dummett, Teale, McGowan, Newton, McGinn, Thompson, Goncalves. I'm not aware of any Buddies fan giving their children those eleven middle names, but just three and a half years ago that team won the Scottish League Cup, beating Hearts 3-2. None of those eleven are at the club now. Nor are any of the five substitutes on the bench that day. If St. Mirren are to visit Hampden again anytime soon, it will probably be for an away game at Queen's Park. For they lie bottom of the Scottish Championship with just four points from their opening fourteen games, already nine points adrift of the side above them. All the points have come from draws. It's quite a plunge. And even more so considering that the club have never dropped below Scotland's second tier in their history. The increasingly difficult task of keeping them in the Championship now falls to Jack Ross, appointed manager on 4th October. Ross is well thought of in the Scottish game, something of a journeyman player - including two seasons at St. Mirren in his twilight years - who was also the inaugural chairman of PFA Scotland. He was also a coach at Hearts for a spell, leaving shortly before his first managerial post at Alloa. He couldn't keep Alloa up - to be fair, when he arrived last December the part-timers were also bottom of this league and had only a few more points than the Buddies have now. But a smart start to the Wasps' League One campaign convinced St. Mirren that he was the man to save them. In cup competitions, he's done alright - his first match was a shock Challenge Cup win at Easter Road, and the club are in the semi-finals of that tournament. But in the league, they've played six matches under Ross' management...and lost all six. The last point was at home to Falkirk on 1st October. They played Falkirk again at the weekend and led 1-0 at half-time, but went to pieces after young defender Jack Baird got a straight red just before the break and went down 3-1. Add in the embarrassment of having to postpone a cup tie with Spartans because the undersoil heating was on the blink, and the revelation that the club have resorted to advertising on LinkedIn for players, and it's hard to see how things could get worse. The most recent league win? On 16th April against Greenock Morton, some 231 days before that Falkirk match. Tomorrow they travel to Dumfries, to face a Queen of the South side also in nightmare form but who are under a new manager of their own, Gary Naysmith. Ross' hopes of a new manager bounce seem to be long gone. The start of St. Mirren's rapid decline was almost certainly when the club chose to let Danny Lennon, the League Cup winning manager, go at the end of the 2013-14 season. At the time, it looked like an understandable decision; only a late run of form had pulled them clear of the first relegation playoff between Premiership and Championship sides, but in his four years in Paisley St. Mirren never finished eighth once and eleventh three times. His nine lives seemed used up, and there was appetite for change. 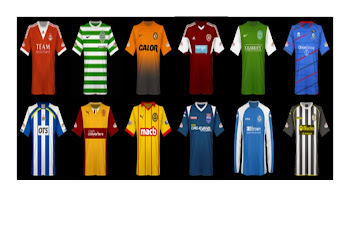 After all, why shouldn't the Paisley side be able to compete with the likes of Motherwell, Inverness and St. Johnstone? Cheerio Danny, thanks for the memories. Unfortunately, chairman Stewart Gilmour's idea of 'change' was rather different from everyone else's. And so instead of a fresh new face, the fans got a familiar, well-lined one - Lennon's assistant Tommy Craig. The appointment was a disaster. Craig had a reputation as a good number two, but his brief experience as a club manager, a rotten spell in Belgium, should have scared off the Buddies board. His recruitment was absolutely dreadful and seemed based around a cosy relationship with Manchester City, who loaned such luminaries as Ellis Plummer and Adam Drury; for good measure the club also signed James Marwood, the son of City's chief executive. Moreover, his decision to rely heavily on talismanic veteran Steven Thompson backfired spectacularly after 'Thommohawk' got injured, but the failure to bring in adequate backup for a 36 year old was foolish to the extreme. Craig didn't do himself any favours by holding up a piece of paper at the club AGM which he claimed had a list of strikers that he had tried to sign...and then refusing to let anybody look at said piece of paper. He lasted nineteen games, before a cup replay pumping at Inverness finished him off. St. Mirren had won just three of those matches, and by the time of his exit in December 2014, St. Mirren were embroiled in a relegation battle. They were only still alive and kicking because, remarkably, Motherwell and Ross County were equally useless. Both those clubs changed managers sooner and reinforced impressively in January. St. Mirren? They made another veteran player, Gary Teale, caretaker...for two months, including the transfer window. In those two months they picked up seven points out of twenty-seven...and appointed Teale for the rest of the season anyway. Would a more experienced boss have saved them? By mid-April, when a home thumping by County had all but guaranteed relegation, Stewart Gilmour was asking himself the same question But it was too late. Demotion was confirmed with three games left; St. Mirren won just nine league matches all season. They had signed 14 players that season; none are at the club now and only one - perenially injured Alan Gow- stuck around for a year in the Championship. And not just any Championship; if the Buddies were to bounce back, they would have to do it despite opposition from Rangers and Hibernian amongst others. The budget was cut, which was surely a logical reason for appointing Ian Murray as Teale's replacement. Murray had been expected to move up in the world at some point; he was one of the most highly-rated young managers in the country, who had kept part-time Dumbarton in the division for three consecutive seasons on a shoestring budget. It appeared that, at last, they had put someone decent in the dugout. So much for that. Murray lasted twenty matches - one more than Tommy Craig did - and resigned almost a year to the day after Craig had been sacked. The final straw was a defeat at his old club Dumbarton. He experienced victory five times as St. Mirren manager, and three of those wins were in the Challenge Cup. St. Mirren were bottom of the table. "He was hamstrung by his budget", recounts Dave MacFarlane, St. Mirren fan and editor of Born Offside, "But the step up from part-time football seemed too much for him. He never seemed to know his best eleven and his signings were rank rotten." Indeed they were. Murray signed eleven players, including experienced veterans Keith Watson, Andy Webster and Jamie Langfield. He also brought in Scott Agnew from his old club and a bunch of loanees. On paper, they certainly wouldn't match Rangers or Hibs, but to be behind part-time opposition was something else altogether. Only three Murray signings remain - Webster, Langfield and Calum Gallagher. None are currently first-choice players. defender Gary Irvine, midfielder Rocco Quinn and forward David Clarkson helped steer them to a relatively respectable sixth in the table. There was light at the end of the tunnel...but that was because the tunnel was on fire. Rae made big changes in the summer, bringing in seven new faces, including John Sutton who returned to the club nine years after the end of his first spell. Gary Mackenzie, a former Scotland squad centre-back, was added too, as were Rangers loanees Tom Walsh and Ryan Hardie who had impressed at Championship clubs the previous year. Whilst it would be probably too much to expect them to match Hibs or Dundee United over a full campaign, a playoff place seemed a reasonable bet. But Rae recruited a bizarrely unbalanced squad. Aside from Quinn, his midfield options were all youths. There was a complete dearth of wide players. And whilst he had a plethora of striking options - Sutton, Clarkson, Gallagher, Hardie and Lawrence Shankland - he was incapable of finding a combination that worked, and there was never enough time to allow a partnership to gel. There was rumours very early this season that he had 'lost the dressing room', whatever that means. But his exit made him the fourth St. Mirren manager in succession to last less than nine months. So onto Ross, who wasn't first choice; finally the club showed ambition and aimed high, only to be rebuffed by Billy Davies and John Hughes. In complete contrast to events on the pitch, fans are relatively satisfied with where things are heading off the field. In July, a takeover deal was finalised which made former director Gordon Scott club chairman and paved the way for the club to ultimately be owned by the supporters. Given that Scott's predecessor, Stewart Gilmour, had been looking to sell for some time and had somewhat tightened the pursestrings, it was a welcome move. But the long drawn-out wait for action hasn't done anyone any favours, with the budget understandably limited and the air of uncertainty unsettling. There may yet be positive progress for St Mirren, but they are likely to go backwards before they can go forwards.